Four more players have agreed terms with Finn Harps ahead of the 2019 League of Ireland Premier Division campaign. Manager Ollie Horgan has brought Caolan McAleer back to Finn Park after the Omagh native spent last season with Sligo Rovers. Meanwhile, the Harps boss has also announced that Gareth Harkin, Mark Timlin and Mark Coyle have all been re-signed. It brings to eight the number of players now committed to the Donegal club after it was confirmed on Tuesday that two of last season’s squad Sam Todd and Nathan Boyle had re-signed while ex-Longford Town duo Daniel O’Reilly and Sam Verdon will join up for pre-season training next month. While pleased to be able to confirm four more signings Horgan says there is a massive amount of work still be done in the next couple of weeks to have a big enough panel in place with the quality to be able to sustain a full season in the top flight. “We’ve made a start but we need to make big strides in the coming weeks to hopefully be in a position to bring more players into the squad. It’s going to be a savage season playing quality teams four times. So we need strength in depth. Myself and Paul Hegarty are on the phone and on the road continuously to try and do that” Horgan said. Speaking after the four latest signings were confirmed Horgan said Caolan McAleer, Gareth Harkin, Mark Timlin and Mark Coyle were all players who wanted to be part of a Harps team that can compete in the Premier Division. I signed Caolan for the 2017 season and he did well for us on the right side of midfield. He moved to Sligo Rovers last season. We would hope that the experience of those years have made him a better all round player but he will have to step it up because every game is going to be a massive challenge for us. “Gareth has been very loyal to us and gives us stability in the midfield area. He missed the early part of last season with injury but it would be nice now if he can stay injury free and get more games next year because we will need that bit of luck as well. “It’s good to have Mark [Timlin] back again. He’s a creative player and did really well for us in the second half of last season especially. Hopefully now Mark can continue that form into the start of next season. We’re pleased to that Mark Coyle has signed a new contract. Mark came back to us last season after being with our U19s two years ago. He well for us in midfield but was hampered by injury nearly all year. “Please God the rest will do the trick and that he can play more next season. It’s a step up for Mark because he really hasn’t any experience of the Premier Division bar I think one game back in 2016 down in Dundalk,” said Horgan. Prior to first signing for Harps ahead of the 2017 season Caolan McAleer spent four seasons in Scotland with clubs including Partick Thistle, Airdrieonians, East Fife and Greenock Morton. McAleer moved from Irish League Premiership side Linfield to Partick Thistle in January 2012. After making his debut for them in May of that year he signed a new two-year contract in July. The Omagh lad subsequently went on loan to Arthurlie. In November 2013, McAleer joined Airdrieonians on loan. At the beginning of June 2014, he signed for East Fife. But after one season with The Fifers, he returned to Airdrieonians, signing a contract with the club in June 2015. In January 2016, McAleer moved on loan to Kilbirnie Ladeside until the end of the season. In July McAleer signed for Greenock Morton. He played for Northern Ireland at Schools Under-18 level in the Centenary Shield. Caolan spent last season with Harps North West neighbours Sligo Rovers. The 24-year-old became one of City's main men in the 2015 League of Ireland season as they were dragged into a relegation battle in the last third of the season. Mark finished the season as Derry's top goalscorer with 10 goals in the league from 28 appearances. Timlin attracted the interest of other clubs and opted to sign for St Patrick's Athletic in November 2015 and finished up the following season with 10 goals in 37 games in all competitions, winning his first senior medal as Pat’s lifted the 2016 League of Ireland Cup. Timlin returned to Derry City at the end of November 2016. The Buncrana man joined Harps in the 2017 July transfer window and scored on his debut in the 3-2 away Premier Division win over Bray Wanderers at the Carlisle Grounds. 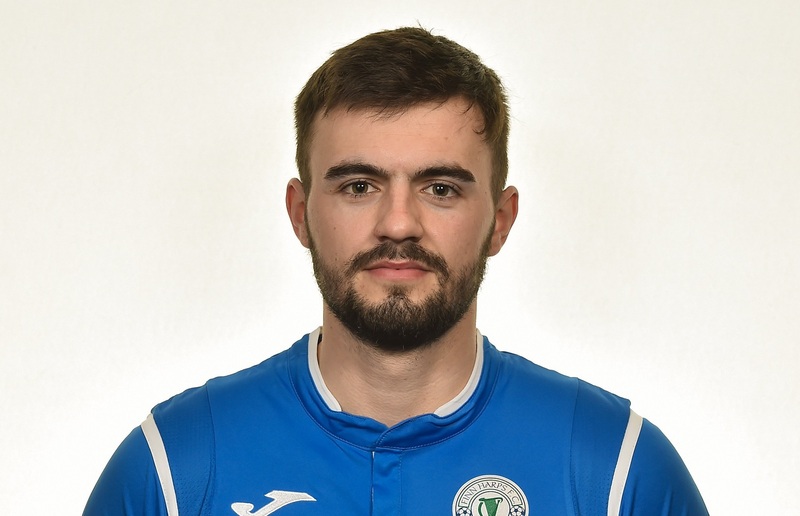 Timlin re-signed for Ollie Horgan ahead of the 2018 season and was highly impressive particularly in the second half of the season when Harps went on that remarkable unbeaten league run that stretched from the end of June to the end of the regulation season and then through the four play-off games. Gareth Harkin played in the Ulster Senior League with Fanad United before joining Derry City. In January 2007 he moved to the Irish League with Limavady United but his stay there was short lived and he returned to Derry City in August of that year. The following summer Gareth was on the move again, signing for Coleraine in July of 2008 where he played until January 2011 when he returned to the League of Ireland signing for James Gallagher at Finn Harps. The Letterkenny man made his debut for Harps on the opening night of the 2011 season in a 2-2 home draw with Limerick FC and went on to make 21 league appearances that year, scoring twice. 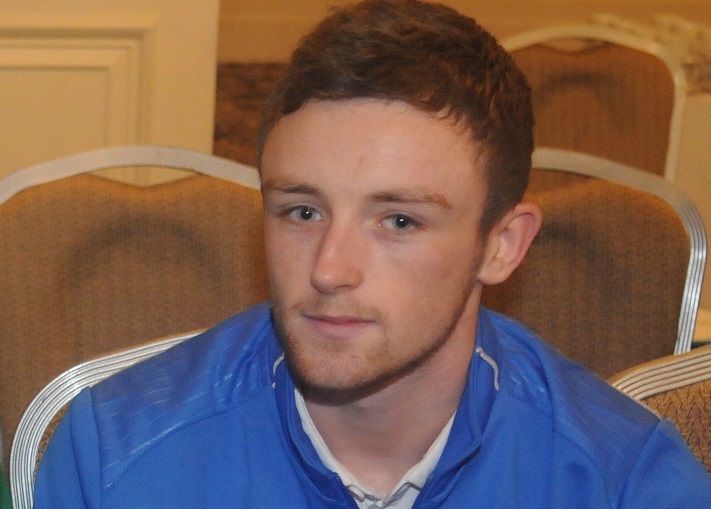 Gareth left Finn Harps at the end of the 2011 season but returned in January 2014 during Harps' programme of pre-season friendlies. He duly signed for Ollie Horgan's side and made 13 league appearances over the 2014 season as well as scoring in the club's 4-1 FAI Cup quarter-final win over Avondale United. 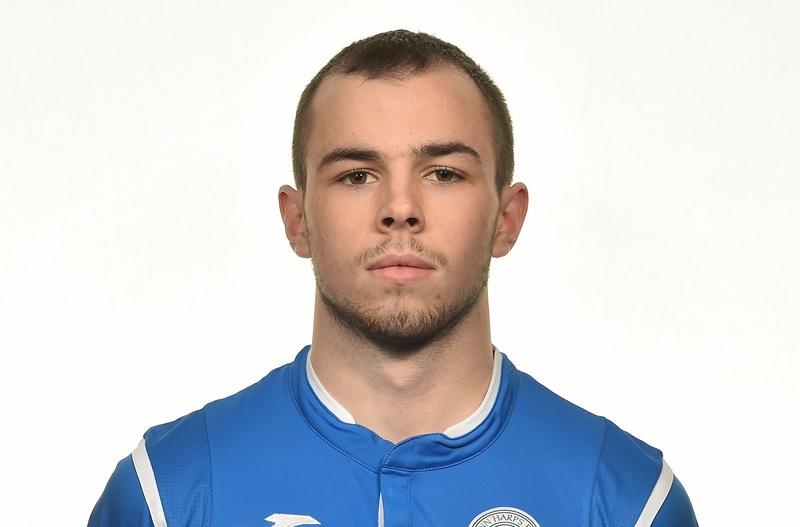 In 2015 Gareth played in 25 of Harps' twenty-eight league matches, scoring twice in the process, before going on to play in all four play-off matches as Finn Harps were promoted to the Premier Division after overcoming UCD and Limerick. The 30-year-old started 25 times in the Premier Division in 2016 for Harps. He re-signed for the 2018 campaign but missed a significant slice of the early part of the season due to a knee injury. However, after returning to the starting 11 Harkin’s experience in the middle of the park began to tell in the second half of the season helping Harps to secure second place in the First Division. Gareth picked up an injury again in the first play-off game away to Drogheda Utd and missed second leg as a result but Ollie Horgan was glad to get the Letterkenny man back for the final two play-off games against Premier Division outfit Limerick F.C. Harkin put in two big shifts as promotion was secured in a memorable 2-0 (3-0 aggregate) win over Limerick at the Markets Field at the start of November. Burt man Mark Coyle played a key role in the superb Finn Harps unbeaten run that ended in promotion to the League of Ireland Premier Division. That was a significant personal achievement for the 21-year-old who was troubled by a knee injury for much of the season. It often meant that Mark, who is Medical Science Degree student at GMIT Galway, couldn’t play a full game because of the discomfort. It was just a year ago that Coyle received a phone call from assistant-manager Paul Hegarty about returning to Finn Harps when the 21-year-old was playing with the all conquering Ulster Senior League side Cockhill Celtic. Mark wanted to give it another shot and prove to myself that he could make the step up to senior football. He had made his senior debut for Harps against Dundalk at Oriel Park two years ago. But then he got the chance to link up with the Donegal U21 GAA team. Coyle had spent three seasons with Finn Harps U19s before opting to concentrate on GAA in 2017 having been called up to the Donegal U21 squad. He had also been a member of the Burt side who won the County Intermediate Championship in 2016. Mark had played a lot at right-back under Joe Boyle at U19 level but since returning to Finn Park he has featured in central midfield. He scored his first senior goal against UCD at Belfield in mid-April and a fortnight later Coyle found the back of the net again in the away win against Longford Town. Mark also enjoyed the experience of playing with the former Celtic and Northern Ireland player Paddy McCourt. Ollie Horgan will be hoping that some of the tips picked up from McCourt will give the Burt man the confidence to again be a key player in the huge challenges that are going to be faced by Harps in the Premier Division next season.